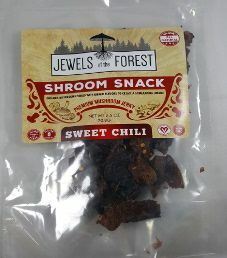 The next review on Shroom Snack will be on a 2.5 ounce/70.8 gram bag of their Sweet Chili flavored organic mushroom jerky. 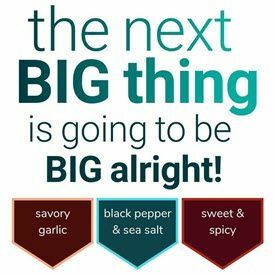 This flavor is advertised as exotic mushrooms paired with unique flavors to create a stimulating umami. The bag was graciously submitted by one of the co-owners, Wyatt Bryson. 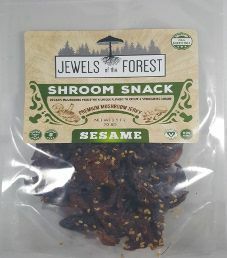 The first review on Shroom Snack will be on a 2.5 ounce/70.8 gram bag of their sesame flavored organic mushroom jerky. This flavor is advertised as exotic mushrooms paired with unique flavors to create a stimulating umami. The bag was kindly submitted by one of the co-owners, Wyatt Bryson.